Florida Gov. 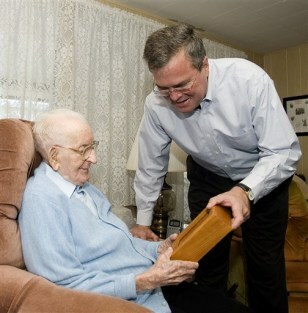 Jeb Bush presents veteran Ernest Pusey with a World War I service medal during a visit to his home Nov. 10 in Bradenton, Fla. The 111-year-old veteran served in the U.S. Navy from 1917 to 1919 aboard the battleship USS Wyoming.